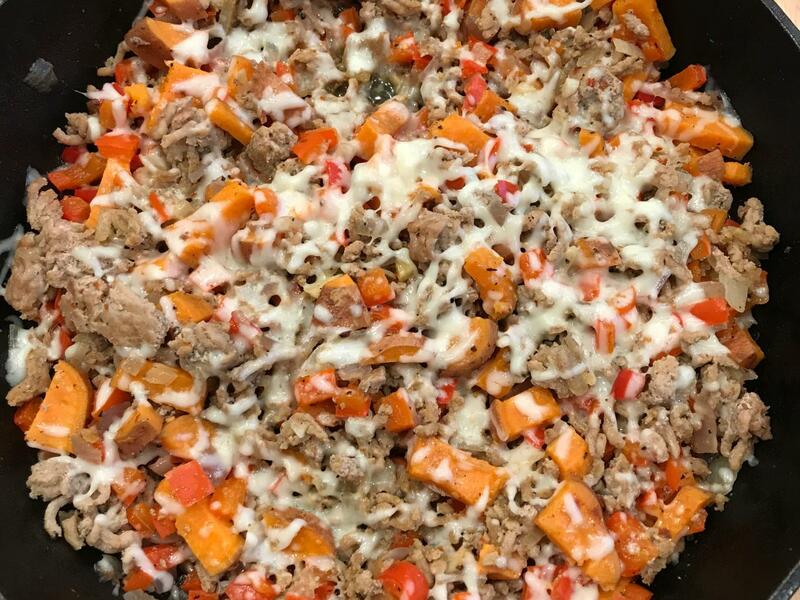 2 October 2018Sweet Potato & Ground Turkey Skillet - A Comfort Food That is Weight-Friendly! The fall season is finally here in Colorado and now I am thinking about warm and satisfying dinner meals that are easy to prepare and weight-friendly. I also want this meal to be kind to my blood glucose. Although I don't eat low carb, I do carb-control my meals, especially at dinner when I am most likely to be sedentary after eating. One of my favorite meals that fits the bill is Sweet Potato & Ground Turkey Skillet. This is one of the few potato dishes that is fairly modest in calories and carbs yet very filling given the high protein and veggie content. There are many recipes that you can find online for this basic comfort dish but here is one that I have modified that I think tastes great. I first started with Ground Turkey Sweet Potato Skillet from Kitchen Primavera and then modified it to fit my taste buds. In a cast iron skillet, heat 1 tbsp of olive oil over medium-high heat. Add ground turkey and cook for about 10 minutes, stirring occasionally. Add the remaining 1 tbsp of olive oil along with chopped onion and sweet pepper to skillet then saute until onions are lightly browned. Add minced garlic, diced sweet potato, crushed red pepper flakes, lite salt, and ground black pepper. Cover skillet, lower heat, and cook until sweet potato is tender. Stir occasionally. If needed, add a little bit of water to help cook the sweet potato. When the sweet potato is tender, top with shredded mozzarella cheese and briefly put cover back on to melt the cheese on top. When cheese is melted, remove from heat, garnish with parsley, then serve. High in niacin, potassium, riboflavin, selenium, zinc, and vitamins A, B6, B12, C, and K.
- You can add more or less spice to flavor this dish the way you like it. - The original recipe calls for red chili flakes instead of red pepper flakes, so try that if you want it spicier. - The original recipe calls for extra lean ground turkey but I use lean ground turkey (93% lean) since I think the flavor is better. Using extra lean ground turkey will lower the saturated fat (6g to 3g), total fat (19g to 11g) and calories (360 calories to 311 calories) per serving. - You can save cooking time by microwaving the diced sweet potato first before adding it to the skillet. I sometimes do this while I'm sautéing the ground turkey. - I use Morton's Lite® salt since it is nearly half the sodium of regular salt yet tastes like real salt. If you can't find a lower sodium salt product, then just use about half the amount of regular salt if you need to limit sodium. Otherwise, use the same amount of regular salt. - If you cook in a cast-iron skillet, the iron content will be higher even though it is not reflected in the nutritional analysis. This Recipe is Already in MyNetDiary! I have already entered this recipe into MyNetDiary. To copy this recipe from me (Dietitian), ogin to MyNetDiary's web program and go to Community tab. In the Community Search box, enter Dietitian with People chosen in the drop-down menu. You will find Dietitian on the last page - tap the name link. 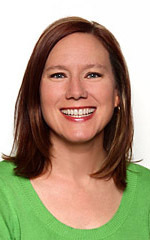 Scroll down Dietitian Personal Page and find Custom Catalog. Find "KAI Sweet Potato & Ground Turkey Skillet" and tap Copy link to the right of the name. When the copy link disappears, it has been copied into your food catalog. Once you do that, you can use that recipe in your log. It is easy to find that recipe if you simply include "from dietitian" in your name search. Tip: With Maximum membership, you can copy and customize recipes and foods copied from other members without affecting the original item. Hey! Where Ya Going with Those Turkey Bones?